Park Farm Retrievers is owned by Delyth Mottershead. Delyth has been breeding Golden Retrievers and Labradors for over twenty years. 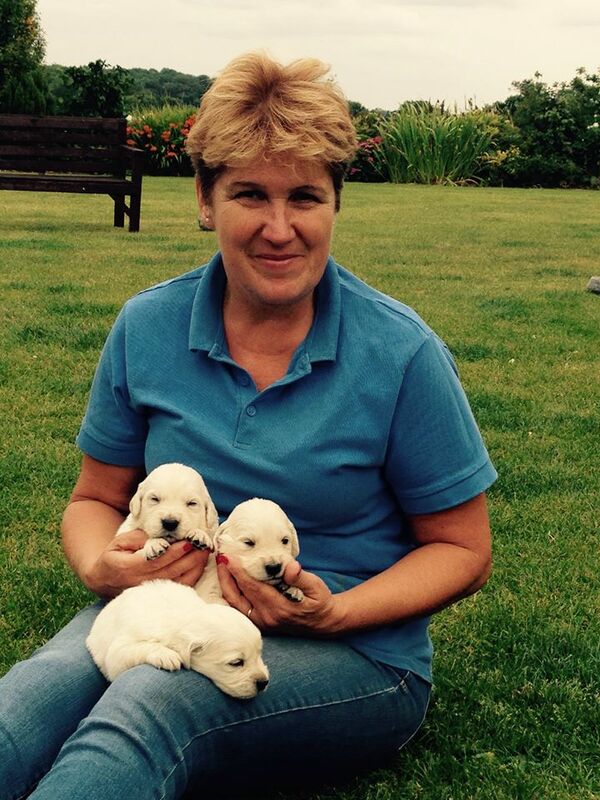 Her passion for breeding good quality, trainable dogs shows in all her puppies. Families have come as far as the Dominican Republic to buy Park Farm Retrievers. Park Farm Retrievers is based at Park Farm on the beautiful boarders of Shropshire and Worcestershire. Delyth along with her husband Martin took on Park Farm in 2005 when it was virtually derelict. Over the years they have restored it back to a beautiful home, working farm and the livery stables that it is today. The Mottershead family consists of Delyth, Martin and their three daughters Megan, Rowena and Sarah. Megan and Rowena have grown up with their mother’s love of horses and compete regularly in dressage, eventing and showing but Sarah has followed her father with more of her interests being in the farm and livestock breeding. Even though they lead busy lives the dogs are always at the centre of the family.